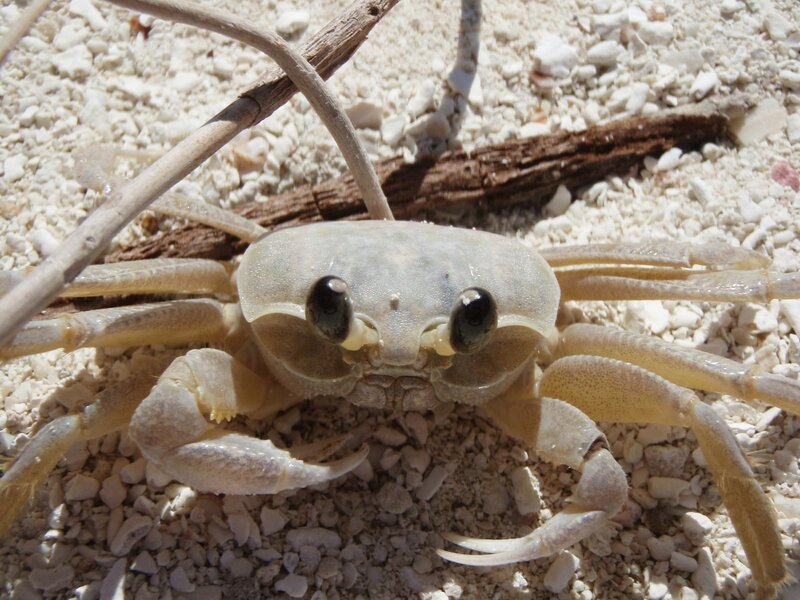 A sand crab is that specie of crabs that lives either on the sand or burrows itself in the sand. It’s not a rare type so you can always go out hunting for it. Measuring it is also not a big problem. You just need to take the proper tools which are required, grab the crab, measure it and then leave it back in the water/sand. Nothing is difficult throughout this procedure except finding a fully grown crab in the sand – something which takes time. In order to measure the sand crabs, you must first find them. Go to a place near the beach with a lot of sand and make sure that you have all the equipment that you need. The shovel will be used to dig the crabs out, the bucket will be filled with sea water so you can put the crabs inside and the callipers will be used to measure the size of the crab. Determine a place where you think the sand crab is resting. Take out your shovel and start digging. The sand crabs do not dig too deep so you will not be digging a lot in order to find one inside the sand. Once you hit a hard surface, you should know that it’s the outer body of the sand crab which is extremely thick and hard. Grab the crab and put it inside the bucket which is filled with sea water. After collecting at least two sand crabs, it is time for you to start measuring them. Bring them to a dry place where the job can be done comfortably. Grab one sand crab, open your calliper and measure the crab from front to back. Now measure its various body parts. Make sure that you do not crush the crab by breaking its antennas, which will be inside your calliper. Record the measurements for all the crabs which you had caught. It’s time for you to release the crabs back into the sea.